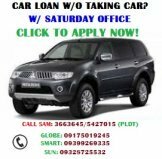 SEAMAN LOAN OFFER: Ours will help you come up with non appearance 1 day process in the Philippines. Now with only 1.5% this year 2019 (2.49% before) interest, we guarantee low processing fee at 5% instead of 9% compared to most companies out there. How to apply for this seaman loan? Find out how. Chat us or PM in Viber - 0905-4249367 / 542-8105 now for our quick cash advance assistance offer for maritime workers. While every agent serves this, ONLY FastLoanPh.Com can give you a non-appearance fastest non-collateral loan approval without PDC needed. Find out how below! APPLY TO MULTIPLE LENDERS IN ONE APPLICATION SUBMISSION! NO PDC or CHECKING ACCOUNT NEEDED! OPEN TO ALL SEAMAN INCLUDING 1ST TIMERS! WITH LOAN PAYMENT GRACE PERIOD OPTION! EASY PAYMENT THRU MONEY REMITTANCE CENTERS ONLY (SAY GOODBYE TO BANK HASSLE)! Allow us first to answer your questions. How do you know if you can be qualified to apply or if you can get approved by a lending company that offers the lowest interest rate? How do you get your loan released in 1 day with non appearance? How can you achieve same day loan release and what list of requirements need to be submitted to qualify? Can seaman apply even if he is already on board? What if I don't have PDC? Can I still qualify? Undergo our 2-3 minute pre-qualifying interview. Pass our pre-qualification interview and submit only complete, right and sufficient requirements as given by us together with a completely filled up application form. Your co-borrower must be available for interview and advance loan contract signing in person with complete requirements. Make sure your crewing manager can and will disclose a departure date. Your co-borrower must be available. Both are required. Ask us, if there is anything else you need to provide. At this point, we will assure you if you have completed your seaman loan requirements but be prepared to provide additional documents on a case to case basis. Yes! We are now allowing on-board seaman loan to qualify and apply for loan thru our NEW PINOY ABROAD LOAN program. Click HERE to Apply. We now offer no PDC (post-dated check) or no checking account required. To apply fastest possible, you have 2 choices - either send us complete documents via Viber - 09175019245 or send us via email - info.seamanloan@gmail.com. Before you fill up our online form below - please be reminded that we can process your loan here in Manila where your manning agency is located even if you reside from any province where we have serving branches. See list here. To qualify for 1.5% low interest rate seaman loan, you have to submit documents and process your loan in Metro Manila area and must be residing in an own house or renting address for at least 1 year plus a co-borrower spouse. Immediate family member or relative may or may not accompany you for personal interview purposes. Lending company providers strictly don't tolerate fake documents. It is punishable by law so please never try to submit one because it is so easy to know if requirements are authentic or not. If you have problems with any document, consult with us and get guaranteed approval. We know there is always an alternative and we can give a lot of options. Just like what we say, we have multiple lending company providers on the line willing to attend to your loan application. All you have to do is to make sure you have all documents listed below photocopied in advance before going or reporting to apply for loan and you pass our pre-qualifying interview + disclosure of departure date by your manning agency fleet manager. You can send documents via email which is fastest for us yet very basic, easy to understand and very effective in making up of a fast loan goal. Completely filled up seaman loan application form - you may download it here. Skip all the details and inquire directly - Fill up our application form below and we will call you ASAP! NO NEED TO BE A WALK-IN APPLICANT, OUR ASSISTANCE IS FREE!!! Very few would know and realize that getting the lowest possible interest rate for any loan will depend on their loan agent. Same goes with a seaman loan. Walk-in applicants without any assisting agent don't get any choice except for the highest rates. Why? Because borrowers have nobody to ask for more information and furthermore, only agents know which lending company offers the least interest. Plus many other reasons which I only choose disclose to interested parties to avoid conflicts of interest with my different providers. If you try to walk in directly to a lending company, you will only end up with delay. The main reason is because you don't have someone to follow up with your application once folder is inside. Believe me, we've seen this so many times. You don't have to stand in vain waiting in line all the while. You'll always be left wandering in oblivion if you do this mistake so NEVER be a walk-in applicant. Always ask for FREE assistance by a duly accredited loan agent or loan consultant. 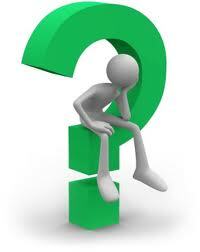 If you are afraid your loan proceeds will get deducted with agent's fee, then ask your agent. In my case, I always make sure to be transparent. I don't want unhappy and unsatisfied clients to assist and it is one of my secrets to avoid the stress of assisting unhappy customers. Furthermore, the lending act in the Philippines forces all parties involved of a full disclosure of figures and computation to loan borrowers. Be sure to demand for a computation. We always give this. If agents know which lending company offers the lowest interest rate, they also know number figures from deductions and charges to interest rates. 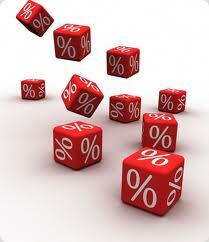 If you are serious at getting the lowest rate, consult with someone who is not your regular fly-by-night loan agent. You need a professional who knows the way to achieve a goal. In this case - and we are here to serve it. 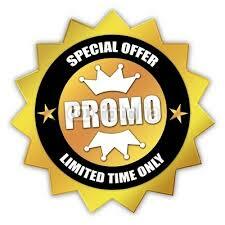 GUARANTEED 1-DAY CASH LOAN RELEASE FOR SEAFARERS WITH COMPLETE AND RIGHT REQUIREMENTS!!! As a professional and qualified loan consultant, I make sure to verify and pre-qualify all my clients before anything else. That is to categorize them based from certain factors that will help me determine outright if they can avail to apply for the seaman loan and get a 1 day release quick cash loan. For the benefit of first time seaman and those who did not know it, different lending companies have different set of requirements as well as categorizing requirements for a seafarer (seaman or seawoman) or maritime worker in order to qualify for the 1 day release loan. Certain criteria must be met and specific scenario must be present. Having different sets of guidelines in loan application and pre-qualifying requirements is what makes it hard to determine if a sailor can achieve same day loan release. With the help of a professional loan agent, this is just a breeze. In our case, we make sure to pre-qualify all our clients or borrowers to help us determine outright which provider is perfect for them. This way, we both avoid wasting our time and effort and prevent any misunderstanding. I've seen many agents make this mistake everyday and we definitely don't intend to be one of them. That's why we are lining up the factors that can affect loan application. Residence Status - an own house automatically qualifies the seaman for a 1 day release loan for sailors. Rented house is still subject to consideration and sometimes via collection remarks. Timer or First Time - 2nd and multiple time boarding seafarers have the advantage. 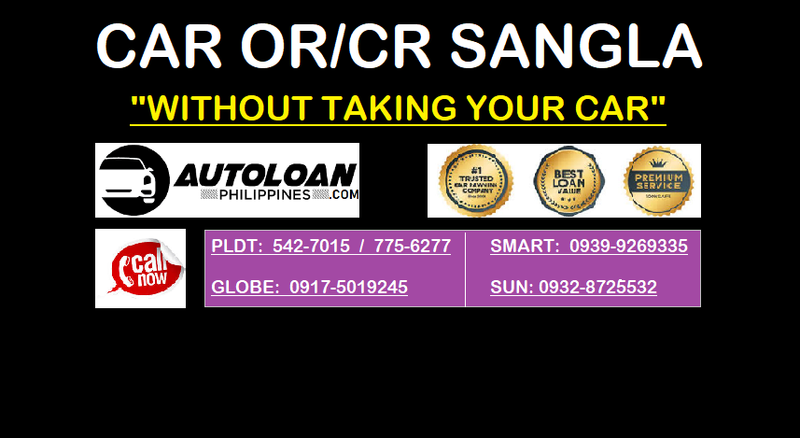 Manning Agency Accreditation with POEA - your crewing agency must be duly licensed and accredited by the POEA. Must not be in the list of blacklisted manning. Number of Years Employed with Agency - employment tenure in a manning agency is important factor. The more, the merrier. 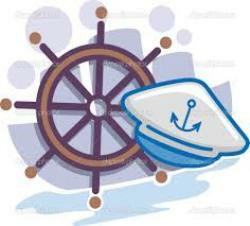 Type of Sailor - offshore seaman is a major consideration. Ask your loan agent about this before applying for loan. Self allottee and pay on board type of salary is also one. Availability of Allottee or Co-Borrower - an unsecured loan such as seaman loan needs a co-borrower. Usually, it will be the allottee but in case not available, parents or an immediate relative with source of income will do. Collaboration of Documents - all had to be consistent. Any discrepancies will absolutely affect time frame and worse, get declined. Bad Credit - for the sake of argument, bad credit seaman can still qualify for 1 day release loan but only with higher interest rate providers. Negative Areas - seafarers living in the lending company list of negative areas are automatically disqualified to apply. 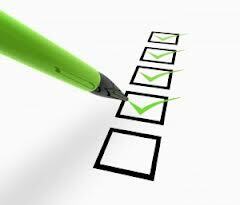 Correct and Complete Requirements - Only COMPLETE and CORRECT requirements will have the guarantee that a 1 day release loan is on the way. By now you must be wondering why we offer our services for free without any deductions of agent's fee in your loan. You must be asking yourself what's in it for us? Are there hidden charges or undisclosed agenda or something illegal here? There are absolutely NO HIDDEN CHARGES! We really do give FREE consultation and loan assistance service to "ALL" our clients. There may be cases you are a sailor or have a co-borrower on bad credit and have no other possible lending company to cater to your application for which we will absolutely disclose to you prior to applying if there will be agent's fee. Otherwise, you'll be given a full disclosure of all the fees by the marketing assistant and loan confirmation officer on charges which will be deducted to prior to releasing of cash loan proceeds. To stay away from doubts and clear us up on any scam-type of online loan service, we would like you, our future clients to know that we earn a decent living from affiliation commission. Meaning, since we are duly accredited and authorized loan consultant to different lending companies, if we refer or have a client approved of a loan application thru our assistance, these lenders pay us on a per approved loan client basis. If you want to make sure your loan is not being deducted of any unlawful charges, you can always ask the lender marketing officers. After all, as we've said above, the NEW Philippine lending law prohibits undisclosed fees and charges for any type of loan. You have your right so feel free to ask. By now you must be really ready to apply for seaman loan so please proceed to see the list of requirements above or you can call us using the contact numbers below directly to pre-qualify you for fast seaman loan application.